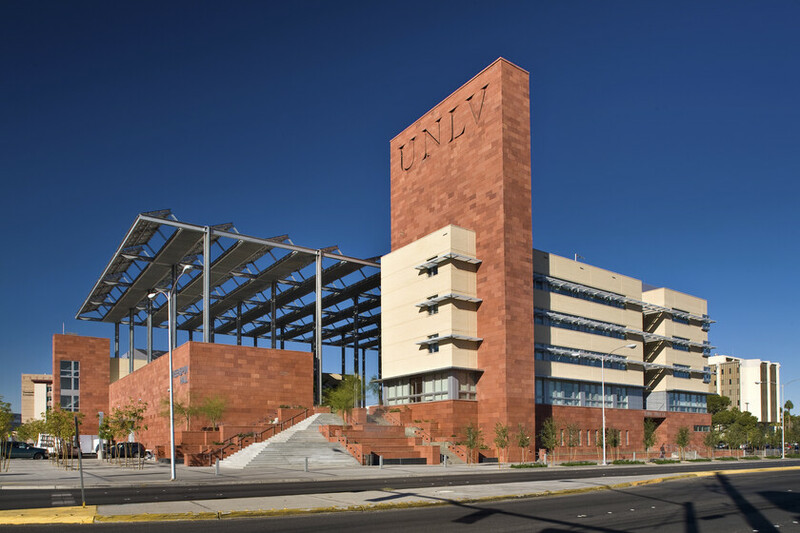 UNLV’s first LEED-certified facility, the LEED Gold Greenspun College of Urban Affairs uses its bioclimactic design to intelligently respond to its surrounding desert conditions. Strategic building massing, efficient mechanical systems, and renewable energy all contribute to significant energy cost savings of 42% better than ASHRAE 90.1-2004. 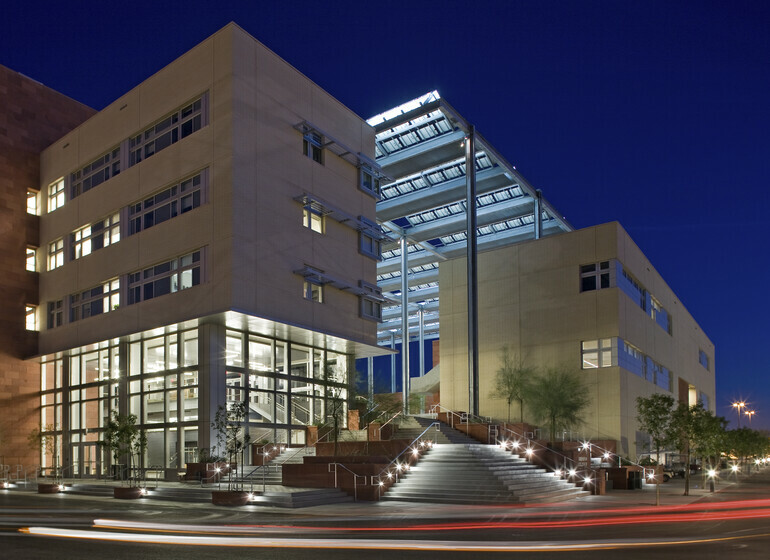 Greenspun College, which contains classrooms, auditorium, and offices, also doubles as an outdoor gathering space on campus, making it one of UNLV’s signature buildings. To suit these dual purposes, and the project’s ambitious sustainable aspirations, Atelier Ten helped the architects compose daylit building wings surrounding a shaded, comfortable courtyard. Atelier Ten evaluated the hours when the courtyard would be shaded by various shading options. 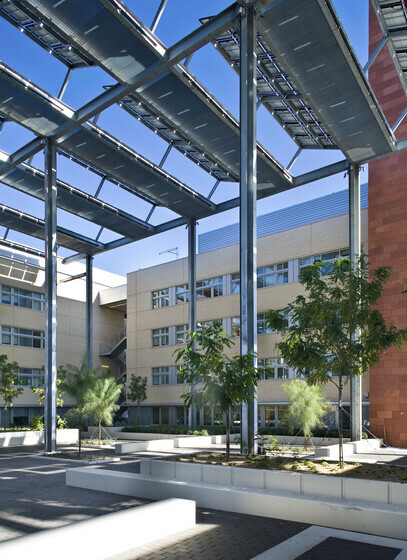 The result is a 139 kW photovoltaic canopy that takes advantage of the plentiful year-round solar energy, making the courtyard comfortable while also generating 12.6% of the building’s electricity. 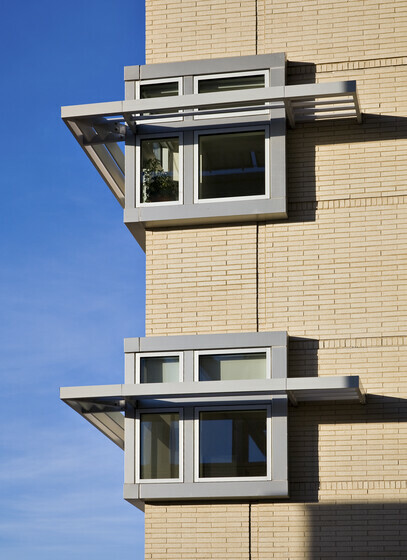 In the building itself, the narrow floor plan allows daylight to penetrate deep into interior spaces while external shading prevents excessive solar heat gain. Atelier Ten used iterative energy modeling to test the various façade insulation and shading strategies, mechanical system and lighting options for reducing energy consumption. 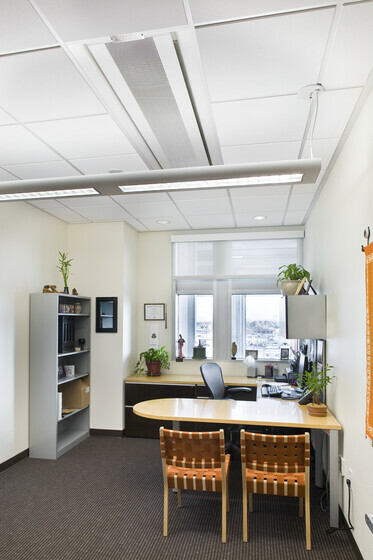 The selected HVAC system includes active chilled beams in offices and displacement ventilation in the auditorium.